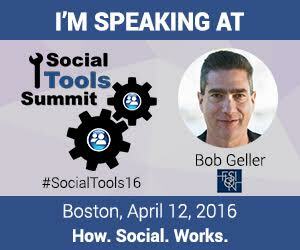 I am very much looking forward to Social Tools Summit (#SocialTools16) in Boston next Tuesday, where I will be moderating a panel on influencer marketing. Neal Schaffer and Brian Mahony invited me back following last year’s Boston event, which was a blast (see my blog wrap), and I jumped at the opportunity. It looks like it will be another great event. The day will be packed with informative sessions, tech demos, and a nice range of speakers and panels. You should really check it out if you work in social media, and are trying to get your arms around the state-of-the-technology. This entry was posted in Events and tagged content marketing, influencer, influencer marketing, PR, social media. Bookmark the permalink.